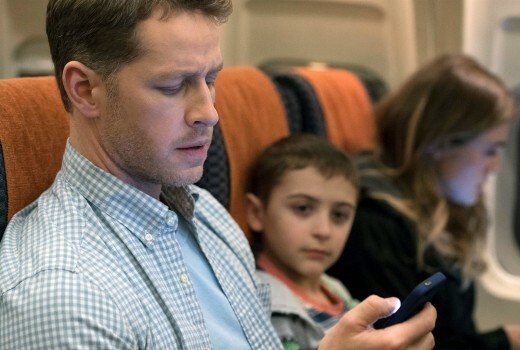 Is Manifest now the #1 US drama on Australian television? Last night it won its timeslot at 658,000 officially higher than The Good Doctor pulled this week in Overnight viewers (587,000). It just edged out Mad as Hell‘s 651,000 on ABC, then 9-1-1 at 449,000. Playing for Keeps didn’t begin until around 9:15pm at just 375,000. The Block‘s 918,000 also won its slot but Hard Quiz was strong for ABC at 686,000. The launch of The Bachelorette season drew 631,000 for TEN, the lowest debut across 4 seasons. 7:30 and Highway Patrol followed. Great British Railway Journeys was best for SBS at 259,000. Seven News, ACA and The Chase again won their slots. Nine network won Wednesday with 29.3%, Seven 26.9%, TEN 20.7%, ABC 16.7% and SBS 6.3%. The Block (918,000) was best for Nine then Nine News (913,000 / 885,000), A Current Affair (837,000), Manifest (658,000), Hot Seat (467,000 / 271,000) and movie: Flight (205,000). Seven News was #1 for Seven with 988,000 / 969,000 then Home and Away (603,000), The Chase (591,000 / 361,000), Highway Patrol (491,000), 9-1-1 (449,000) and Criminal Minds (288,000 / 158,000). The Bachelorette (631,000) led for TEN then The Project (500,000 / 312,000), Playing for Keeps (375,000), TEN Eyewitness News (370,000) and Pointless (227,000). Hard Quiz (686,000), Mad as Hell (651,000), ABC News (644,000), 7:30 (596,000) and Back in Very Small Business (303,000) comprised ABC’s night. Black Comedy drew 195,000. On SBS it was Great British Railway Journeys (259,000), Food Safari Water (163,000), The Rise of the Superstorms (133,000), SBS World News (125,000), Deep State (63,000) and The Chef’s Line (62,000). Something called Wanda and the Alien topped multichannels at 158,000 for ABC KIDS. I’ve just started watching Manifest. The opening sequence is remarkably similar (the exact same premise other than the plane in question lands 6 days late, not 5 years) to Ep 1 of the 1969 ITV series Department S titled “Six Days” (Department S starred the Australian actor Peter Wyngarde). It will be interesting to see if Manifest can make a watchable series out of what was, in 1969, an intriguing 1 hour episode from a terrific TV series which,IMO, had one of the best opening sequences of any TV series for many decades. Used to watch ‘S’ and ‘Jason King’ when they were last on 7 in the 80s-great fun! What awesome numbers Hard Quiz is pulling! Great to see this little show doing well. Gave up after 15 minutes or so of ‘Manifest’-pretty silly and seemed to be based in part on MH370-worth noting that 191 people is far more than the maximum that the 2 subtypes of 737 shown can actually carry (different models shown in flight and landed)-‘Flight’ is an excellent film but a very long one to be starting after 9.30pm! I watched the Batch n l liked it more than previous years. Ali is a great choice. Some of those guys are colourful that’s for sure. Playing for Keeps is woeful. Dreadful scripts and even worse acting. It’s not up to standard. I have been really enjoying Playing For Keeps. I’m also happy that it is giving young actors a go, loving the work of Cece Peters and Ethan Panizza in particular. Haven’t seen this weeks yet, but it is different from the rest that have been on air and it is entertaining and I find the acting decent! But then I’ve always enjoyed Aussie dramas and generally they have quality acting and yes sometimes the scripts might not always be the best, but I like our stories being on screen! Loving it too. Can’t get enough. Loving the bitchiness!! Hope it gets a second season as it’s nice to have a different plot line (WAGS & AFL) to the usual family style like the Rafters and the Proudmans.